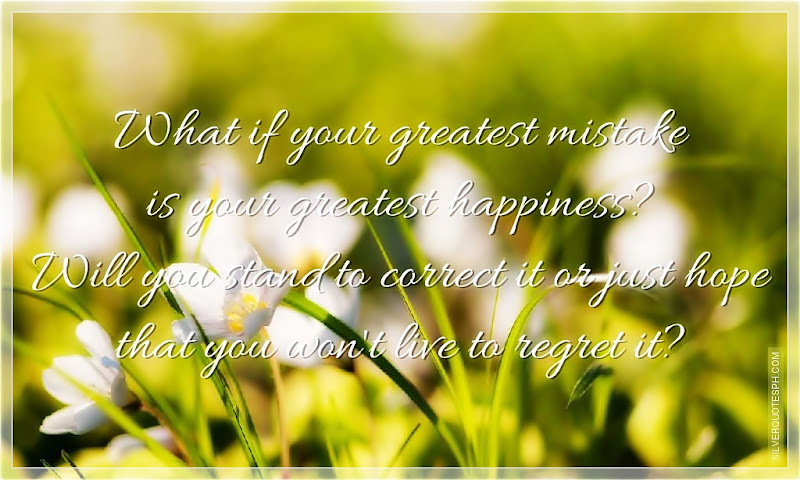 What If Your Greatest Mistake Is Your Greatest Happiness? What if your greatest mistake is your greatest happiness? Will you stand to correct it or just hope that you won't live to regret it?